legal proceedings is having enough money to pay legal costs as well as live on while litigation continues. Medical bills, legal bills, lost wages and other expenses can add up quickly, resulting in potential financial hardships. However, plaintiffs now have another option that can make life much easier for them and their families. By contacting us here at Interstate Lawsuit Funding, any potential financial problems can be solved quickly and easily. With no credit check and no collateral required from customers, we can make a decision regarding your loan very fast and have money in your bank account soon afterward. 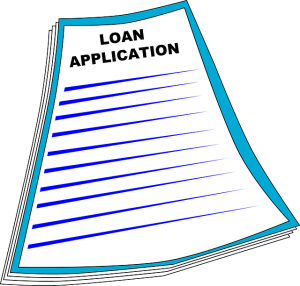 Of course, you must have an active case with an attorney to be eligible for these loans. Whether it’s settlement funding or litigation funding, we are here to help. We make the entire loan process as easy as possible for our customers by having a simple application on our website at www.interstatelawsuitfunding.com. The application, which can take as little as 30 seconds to complete, asks for basic information as your name, phone number, email address and details about your case. Once completed and submitted, we will contact you within one business day to discuss your situation and your funding needs. The major benefit we provide our customers is our no-risk policy to borrowers. Whether it’s $500, $5000 or more that you receive, the money will only be paid back if and when the case is settled. How much money is loaned will depend on a variety of factors, including the merits of the case and other circumstances. Whether it’s a lawsuit cash advance that’s needed or lawsuit funding loans, Interstate Lawsuit Funding can meet your needs. While ultimately no case is typical of another, we do have the knowledge and experience needed to help you make an informed decision. Working with your attorney, we will help you formulate a plan for a loan amount that is satisfactory to everyone. By doing so, this will allow your attorney the freedom that’s needed to settle your case for as much money as you deserve. By contacting us now, you can start to experience peace-of-mind that has been missing for quite some time. We understand the legal process and all that goes with waiting on your settlement, so contact us today and put your mind at ease.